Readymade stylish Kurta pajama for kids in maroon and cream checks. 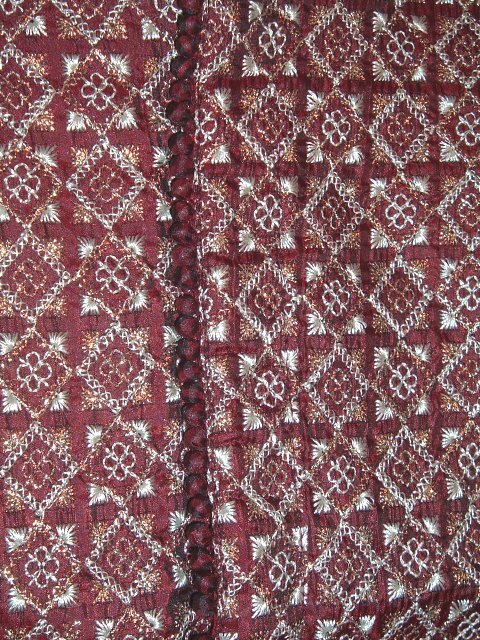 The front of the kurta is embellished with heavy embroidery using silver and gold thread. The set includes a cream silk pajama. and a shaded cream and maroon dupatta. Very elegant, will stand out at any party. Sizes available for kids aged 1 year old and up. 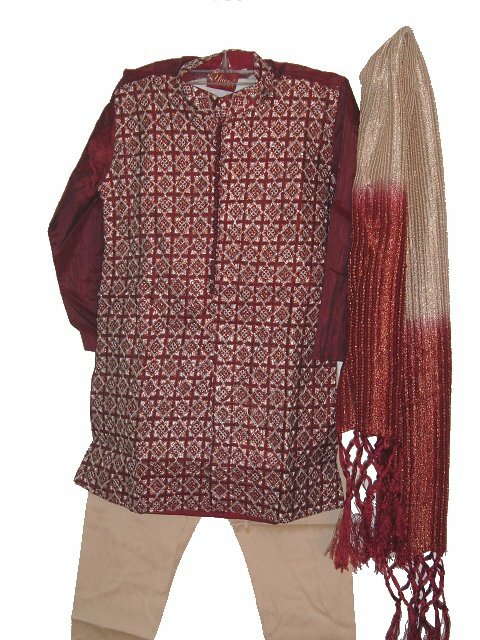 Buy Kurta Pajama For Boys In Maroon & Cream Checks, sold & shipped by desiVastra.com where you can shop online for Traditional Dress for Baby Boy & Girl, Indian ethnic Wear for Kids. This Kurta Pajama collection has been tagged as Kurta, Churidar, Readymade, Festival Shopping, Kids Wear, Indian Clothing.